bay of fundy – Dutch goes the Photo! Not every shot is perfect, and I can always find some flaw with it! My best shot is the one that got away! If this sounds familiar, this post is for you! The date is July 6, 2007. My wife and I are in Nova Scotia, where she’s competing in an international agility trial with our Cardigan Welsh Corgis. I drop her off in the mornings, after which I go exploring with my FJ Cruiser for things to see, experience and photograph. In the latter parts of the morning, I arrive in the little town of Digby and decide to stretch my legs and see what I can find. At the end of Water Street, I see that the tide is out, so I clamber down to the beach and see the fog hanging over the bay. Trust me, when I tell you that is was an awe inspiring view! I was happy that I caught the Bay of Fundy at low tide, as the dock shows the high water mark pretty well! Was I impressed with my work? Not really… This image wound up being one among many taken in Nova Scotia, most of which were more exciting than this one. This photo remained in the dustbin of my storage until almost 7 years after I took it. In 2014, I was perusing some of my past photos, as I was reorganizing my storage, and I chanced upon this photo. By that time, I had done quite a bit of work creating HDR images and really wished that I’d taken a set of exposures instead of a single shot when I looked at this file. With 5 exposures or even 3, I knew that I could make something out of this scene. But, what if… HDRsoft’s Photomatix Pro has the ability to generate a 1-shot HDR image, which I really hadn’t attempted before. On a lark, I decided to try it on this image. After the 1-shot processing, I used the tone mapping capabilities of Photomatix Pro to create the slightly more dramatic image that you see here. Of course, looking at it now, I see many flaws with the processing, which makes me want to redo the process and create something even better. If I can restrain myself from doing just that, I might get to some of my many travel photos from various years, as I’m at least 7 years behind schedule! Welcome to Week 101 of the Tuesday Photo Challenge. After a week of posts about Time, I can honestly say that I had a great time reading your posts. After visiting time for week 100, I figured we’d go for its logical connection of Place for this week’s theme. Your challenge is to share some of your favorite place(s) in your entries for this week. It would be fun for you to share what makes this locale among your favorites. Have fun and I look forward to seeing your creative output! 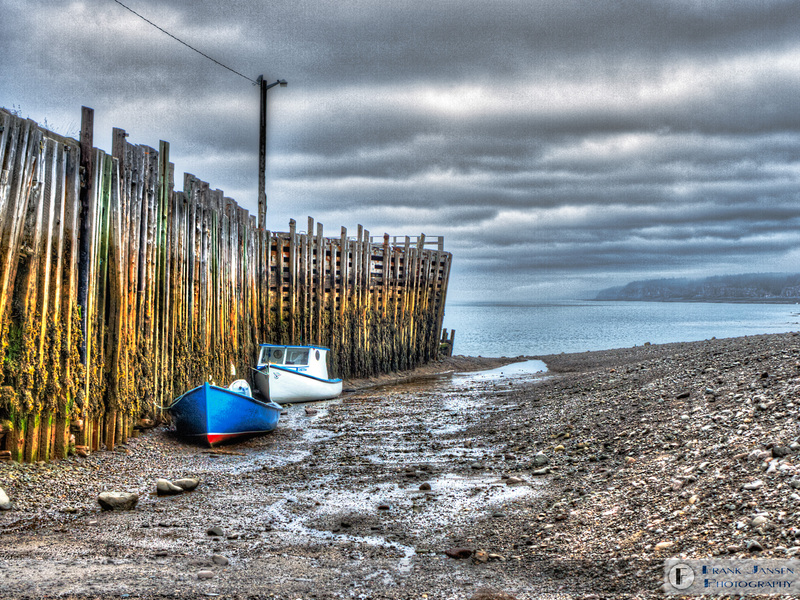 This photo was taken at low tide (obviously) in the town of Digby, N.S., on the Bay of Fundy. This bay is known for its extreme tidal difference, which is evident when looking at the pier. I’m looking forward to visiting some new places this week! Today’s WordPress Daily Post Prompt of Missing was a bit of a head scratcher for me, as nothing came to mind immediately. But then, as I was perusing additional images to add to my Etsy store, I saw this image that I titled ‘Bay of Fundy at Low Tide‘. The tides of the Bay of Fundy are the stuff of legend, so when I came upon this scene in the little town of Digsby, Nova Scotia, I immediately recognized the opportunity in front of me. Author jansenphotoPosted on December 9, 2016 Categories PhotographyTags bay of fundy, nova scotia, photography, travel2 Comments on Where has the water gone? My apologies for having been a bit sporadic in my posts over the past couple of days, as I was on the road for a new job. This Wednesday, we’re back to one of the regular features. Natural forces can come together to create some amazing effects, which is what happens with the tidal forces in the Bay of Fundy. The difference between high and low tide can average as much as 14.5 meters (47.5 feet) in locations. As you can see from this image taken at low tide, the high water line on the wooden dock is well above these little boats that have settled in the sand. This shot was taken in 2007 in the town of Digby (if memory serves me), Nova Scotia. Nova Scotia is a province that is just filled with natural wonder, where I certainly hope to get back at some point for some additional photography. This shot was taken with a Canon EOS 1D Mk III using an EF 24-105mm f/4L lens. Exposure settings were 1/125 second at f/11 at 640 ISO. This is a shot that never really did much for me, until I decided to use Photomatix Pro and give it a bit of single-shot HDR treatment to get the clouds more dramatic and a couple of other minor enhancements. I’m sure that many of you suffer from the same photographers’ malady that I have: tons of images that you have forgotten about! Now, that is not all bad, because I have taken some bad photos in the past (and will take more in the future), which are best forgotten. On the other hand, my photo editing/processing skills have expanded and improved over the years, so some of those not-so-great photos might benefit from a bit of this new skill level. As I went looking for the source file for a reasonably nice landscape of Peggy’s Cove that I took in 2007, I stumbled across an image at the Bay of Fundy that just never pleased me. If I would take it nowadays, it would be as an HDR sequence, so that I could really get everything I wanted in the image. However, thanks to the wonderful folks at HDRsoft and the fact that I have played with Photomatix Pro for years, there was the possibility to come up with something new in this image. It is no longer a pure photo, as I went rather painterly on this image, but I really enjoy the mood that is captured here. Let me know how you like it and about the photos you have resurrected from the past!